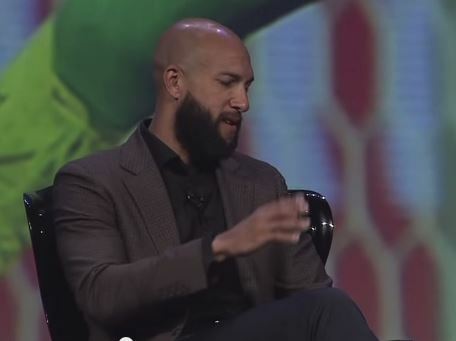 Apropos of celebrities, here’s a short clip from Experian Marketing Services‘ recent “Storytellers” Client Summit in which the Secretary of Defense Tim Howard explains a bit about what helps him choose a brand to sponsor. So far, Howard’s only partnership of note has been with Marriott. Where will he go next? Why not your client? Full “fireside chat” interview after the jump if you’re interested.